Austin’s burgeoning beer scene is something worth raising a pint to these days. Call it the ultimate pub crawl, a beer lover’s guide to the city or just a fun weekend with friends — if sipping on microbrews is your thing, then here’s your checklist. Beer Flight at Pinthouse Pizza. Courtesy of Charles Eck. Note: We don’t recommend trying to visit all of these spots in one day. Or even one weekend. This is just a suggested sampling of the area’s offerings. Begin at Live Oak Brewing Company, conveniently located across from Austin-Bergstrom International Airport. Just seven minutes from terminal to taproom, the European-style microbrewery is all about old-world-style German brewing. Sample suds in the biergarten and grab a bite from the rotating selection of Austin food truck purveyors. Move on to the smooth, natural fruity taste of Austin Eastciders&apos; Texas Honey Cider and Original Dry Cider. They only use the finest dessert and bittersweet apples from Europe and Washington state. Watch for cidery tours and a new cider tasting room coming in summer 2016. Jester King Brewery, RU55. Courtesy of Wes Kitten, The Beer Haul. 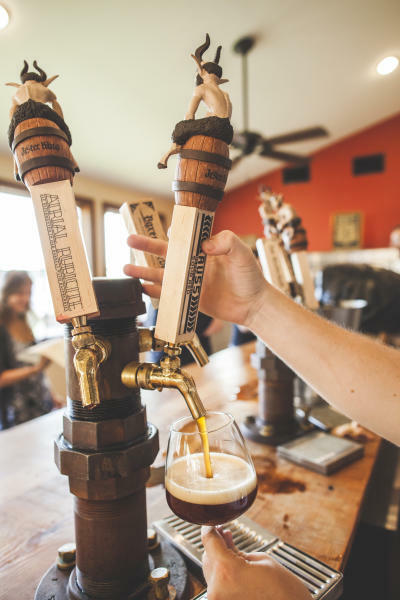 Take a free brewery tour (6pm on Fridays and 1pm, 3pm, and 5pm on weekends) at Jester King Brewery and learn all about the authentic farmhouse brewery’s wild ales and spontaneously fermented beers. Visit their tasting room and ask about the latest creations and then snag a slice from adjacent Stanley’s Farmhouse Pizza. Next, it’s off to Thirsty Planet Brewing Company for a free brewery tour (register in advance online). Have a beer before the tour and feel free to bring your own food. Sip on the Yellow Armadillo Texas Ale or the Thirsty Goat Amber as you hear about their impressive commitment to the planet and charitable contributions. Hand-crafted Belgian-styled ales await at Adelbert’s Brewery. 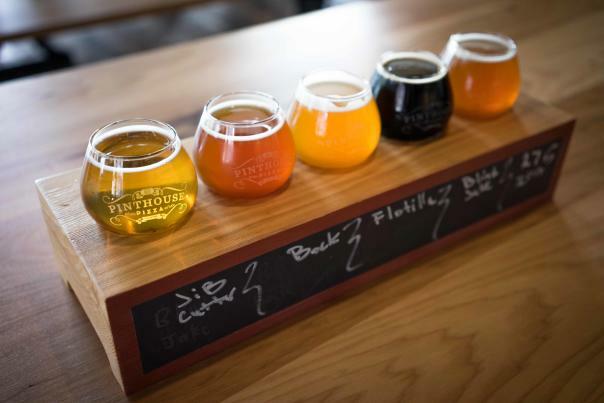 Dogs and kids are welcome at this award-winning microbrewery and a rotation of food trucks, along with darts, ping pong and a foosball table, make this a great place to kill an afternoon. Start with an Austin classic at Scholz Garten, where the beer has been flowing since 1866. Kick back and enjoy shaded outdoor seating, German beer and food (think schnitzel four ways) and live music. Black Star Co-Op Pub & Brewery&apos;s High Esteem. Courtesy of Dustin Finkelstein. 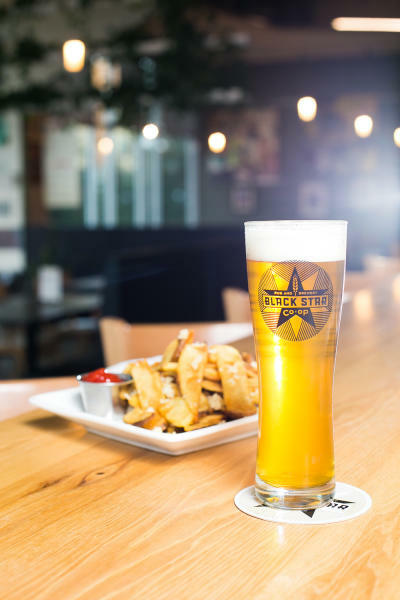 The world’s first co-operatively owned and worker self-managed brewpub, Black Star Co-op serves Texas pub fare and unique house-brewed beers. Brewers design beers based on member-owners tasting panels. Try the Epsilon, a scotch ale aged in bourbon barrels, and save room for something from the Texas farmer- and rancher-sourced menu. They call themselves a little hop-obsessed at Pinthouse Pizza (two Austin locations). Choose from more than 40 craft beers and be sure to try the newly released dark, tropical double IPA, Fully Adrift. It weighs in at 10.5% ABV, so be sure to pair it with some from-scratch pizza. Ask about the latest Off the Map Pie, a rotating monthly wacky special. Austin Beer Garden Brewing Company, affectionately dubbed the ABGB, is the place for variety and an always-happening scene. Hang in the warehouse-like beer garden and sample house microbrews from lagers to special fruited sours. Pair pints with pizza topped with Wagyu beer, caramelized onion, basil, gorgonzola and roasted garlic or sandwiches like the stacked muffuletta or reuben with a fried egg. Catch live music almost every night and check their calendar for monthly scheduled brewery tours.